Disclaimer: Today's #PetCrafts is sponsored by Simple Solution. All opinions are my own. There is no way you are as excited to see The Secret Life of Pets movie as we are! 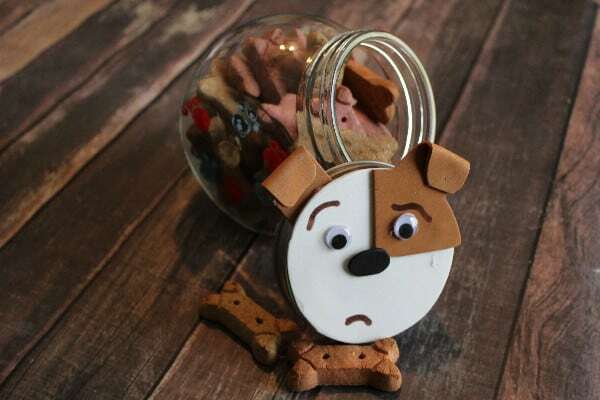 But just in case you are I thought I would share this easy, adorable, and most importantly… inexpensive Pet Treat Jar inspired by the movie and most specifically Max one of the leaders of the pack so to speak. I grabbed a lidded jar at Dollar Tree, you can use any jar size you like as this is easy to alter and requires no specific size. 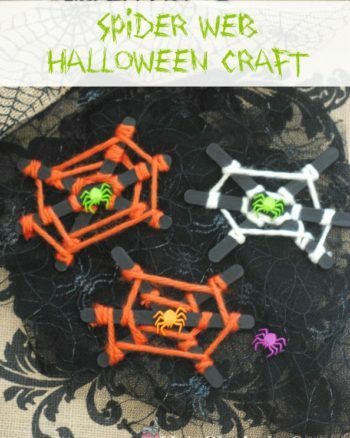 I already had a pack of craft foam, paint, and googly eyes on hand, if you don't it will just cost a couple dollars more for you. 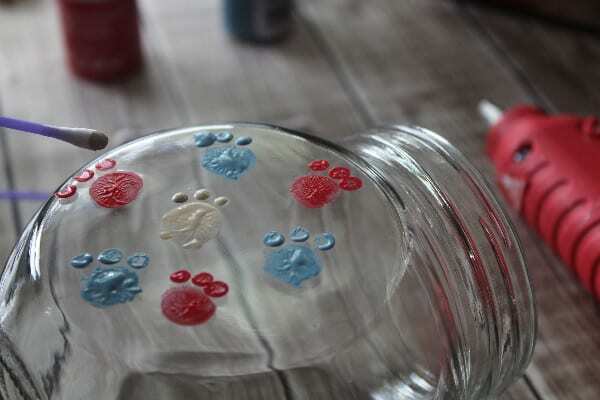 For the sides of my jar I wanted paw prints so I just chose the colors I wanted and dipped my index finger in the paint and dotted all over the jar. 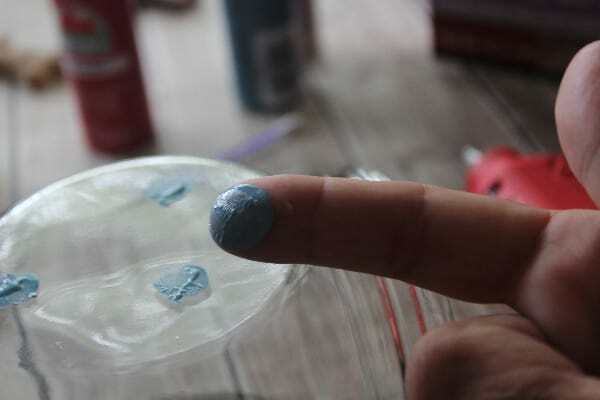 Then I used a cotton swab to make the little toes that really gave the impression of paw prints. So creating The Secret Life of Pets Max was super easy, first plug in your hot glue gun and let it warm up while you finish the rest. 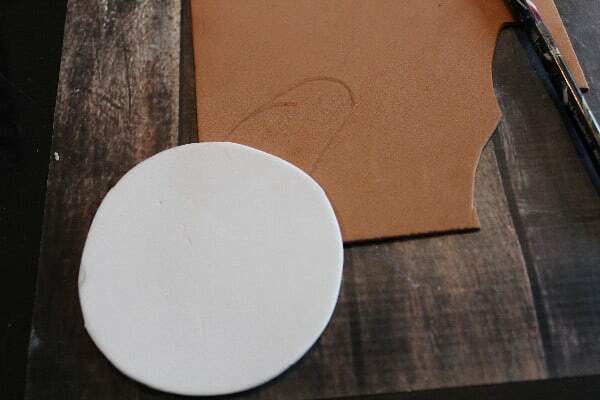 To start all you need to do is trace your lid on white craft foam with a pencil then cut the circle out. 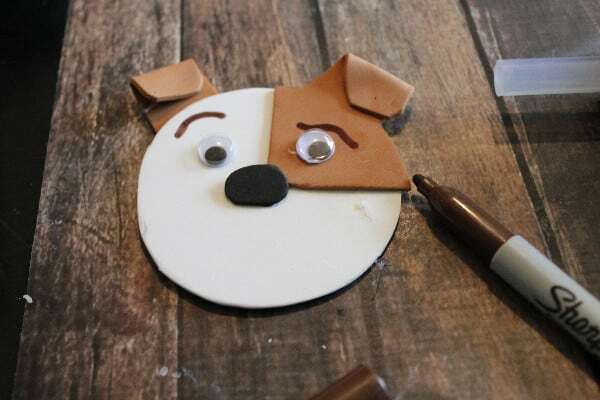 Next I placed my white circle on the bottom corner of the brown craft foam so that it covered about 1/4 of the white then traced the circle up to where I wanted his ear. For the ear I freehanded a long ear shape so that I could bend it over. 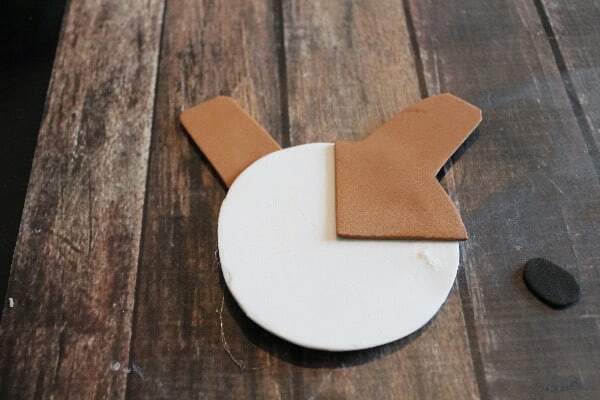 Cut out your trace piece of Max's eye patch/ear then cut an ear for the other side and a small oval nose from the black craft foam. Position everything, including googly eyes, into place and secure down with glue. Fold the right ear in half and glue down. Use a brown sharpie marker to add the details of Max's mouth and eyebrows-those are pretty important to the look of his character. 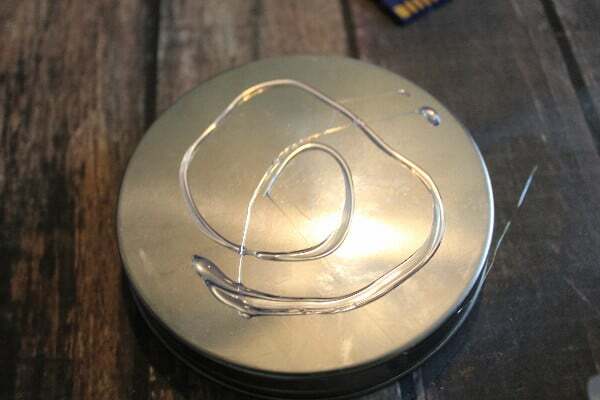 Once you have everything ready and the hot glue has set cover your lid generously in glue and press your entire piece down, hold for 30-40 seconds until set. 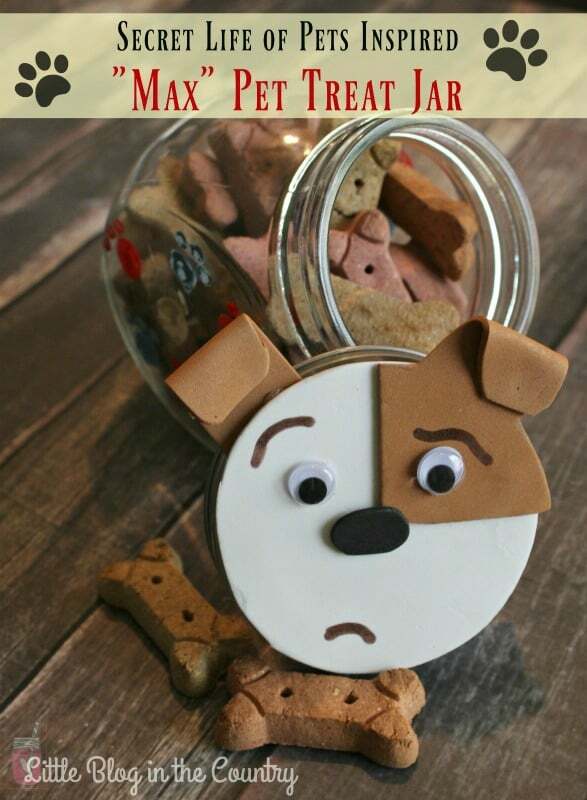 Now your ready to fill The Secret Life of Pets Max Treat Jar with treats or make it to give away to another pet lover in your life. Taking care of pets can be a lot. They get bored and get into everything. They chew up everything AND they have potty accidents. 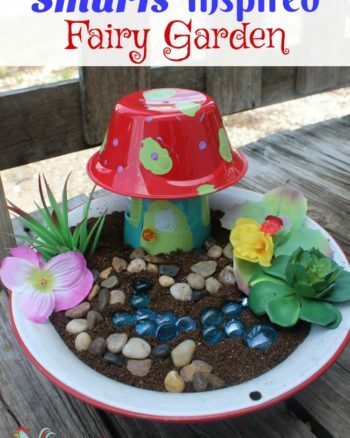 Simple Solution has been helping clean up potty accidents for over 30 years. Be consistent. Your pet needs a routine. Take your pet out after the eat and again after they play. Bring along your treat jar when you take your pet outside. Once they potty reward them with treats. They will quickly learn the connection between potty breaks and treats. Be patient. Your pet will not learn over night. 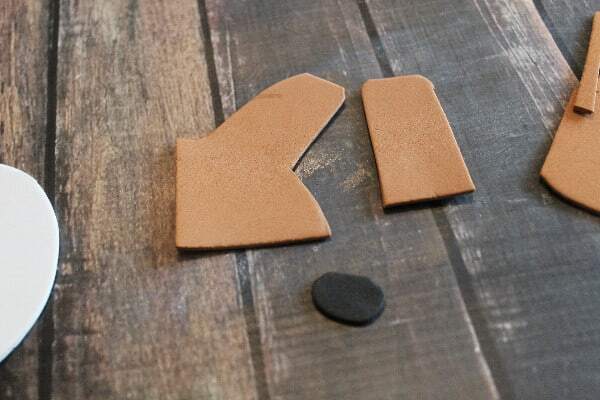 You might even want to put down puppy pads. Just know there will be accidents. With accidents you want to be sure to use the right products. There are products are a specifically formulated to clean up your pets mess and odors. 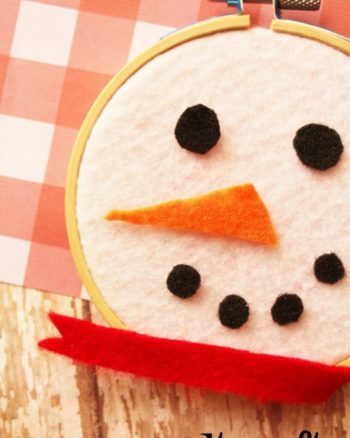 Use a paper towel to soak up as much of the mess as possible. Douse the spot with you cleaning product. Once it's dry vaccum it up. It's a must that old stains be cleaned differently. Old stains need more product and need to sit longer. Looking for more great tips? 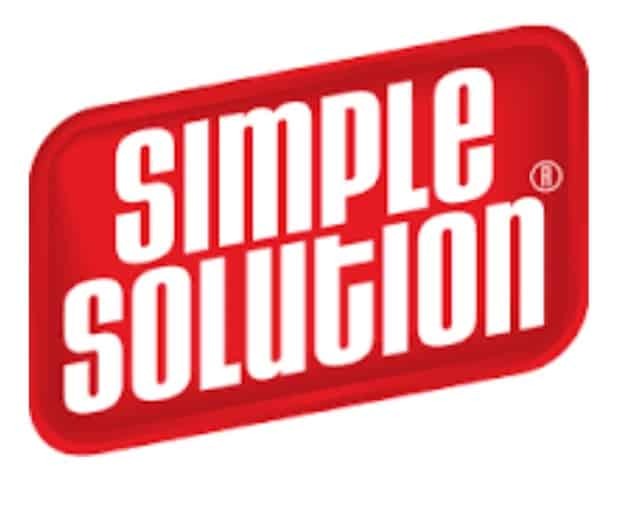 Simple Solution is offering everyone a free ebook. Get your copy by clicking the banner below.